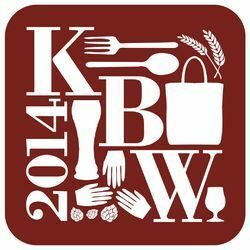 Kalamazoo Beer Week, known fondly as KBW, is all about building a relationship with craft beer. Some of us already share this passion: an affinity for hand-crafted products, made by people who care about an enriching brew experience and carefully fashioned flavor profiles. But some are newer to their understanding of how amazing craft beer can be. Kalamazoo Beer Week is a weeklong series of events that support the craft beer experience through special tastings, dinners, and interactive events. Patrons will meet the brewers themselves, learn about what it takes to develop these kinds of intricate, highly desired products, and hopefully achieve a greater sense of this market segment that has taken hold of beer drinkers everywhere. Check out the Kalamazoo Beer Week website for more information, including events, lodging and our blog.